Chromebooks from third-party manufacturers have always been offered at affordable prices but with their fair share of compromises. With the latest announcement, the Google Pixelbook wants to change the pattern of these mobile computing machines. Here is everything you wanted to know about the company’s latest premium notebook computer. According to Google, the Pixelbook is the first convertible that will feel like a tablet to the user as it sports a 12.3-inch touchscreen with a pixel density of 235PPI. For those wondering, that is equivalent to a Quad HD resolution. The keys on the latest computing machine are soft to touch and extremely easy to access thanks to the backlit feature. For processing power, you will be pleased to know that the Pixelbook will be available with either a Core i5 or Core i7 processor with up to 16GB of RAM, which will be more than sufficient for carrying out things like high-definition video streaming, extensive word processing, multitasking and much more. Google also claims that the latest machine will be able to deliver up to 10 hours of battery life and it supports fast-charging. The Pixelbook will be able to deliver up to 2 hours of battery life after being plugged in for just 15 minutes, which is really impressive for something running Google’s Chrome OS. One of the cool new additions to the Pixelbook is something Google likes to call Instant Tethering. What this means is that when there is no network that is in range that can connect to the notebook, the machine will automatically use your Pixel phone to connect to the internet. Plus, it is the first laptop out there that will provide ‘out of the box’ support for Google Assistant, making your experience as seamless as possible. When you want to summon Google Assistant, there is a key right between ALT and CTRL, so easy access for everybody. If that wasn’t enough, how about a Pixel Pen? This stylus will work directly with Google Assistant, so for example, if you circle a word, Google’s AI assistant will immediately fire up and provide you with definitions of those words. When the notebook is tucked away, it will default back to voice mode. The pen accessory has been made in collaboration with Google and Wacom and offers 10ms of latency and 2,000 levels of pressure sensitivity. 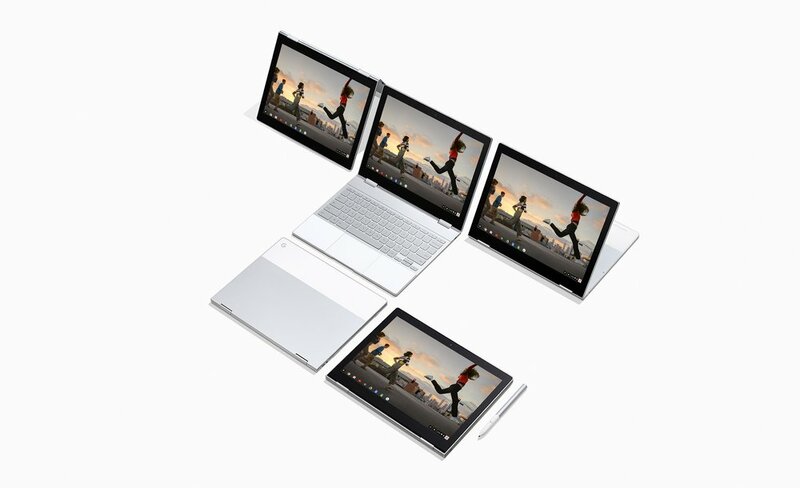 There are three configurations of the Pixelbook available, with the base model starting from $999, whereas the Pixel Pen will start separately from $99. As for where it will be available, those regions are the U.S. Canada, and the UK. Pre-orders will commence from today and you can expect the laptops to hit stores on Halloween. Do you think this is the premium notebook offering that consumers will be wanting to get their hands on? Tell us your thoughts down in the comments.